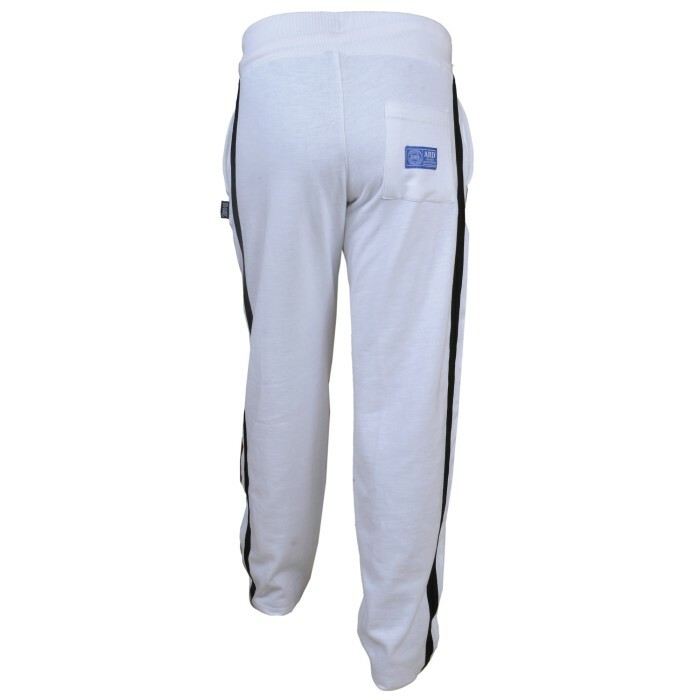 Made Top grade cotton fleece fabric and designed for jogging as well as for casual use at home. gym and jogging & exercise. Featuring retro vertical stripes. Made from Top quality cotton fleece. 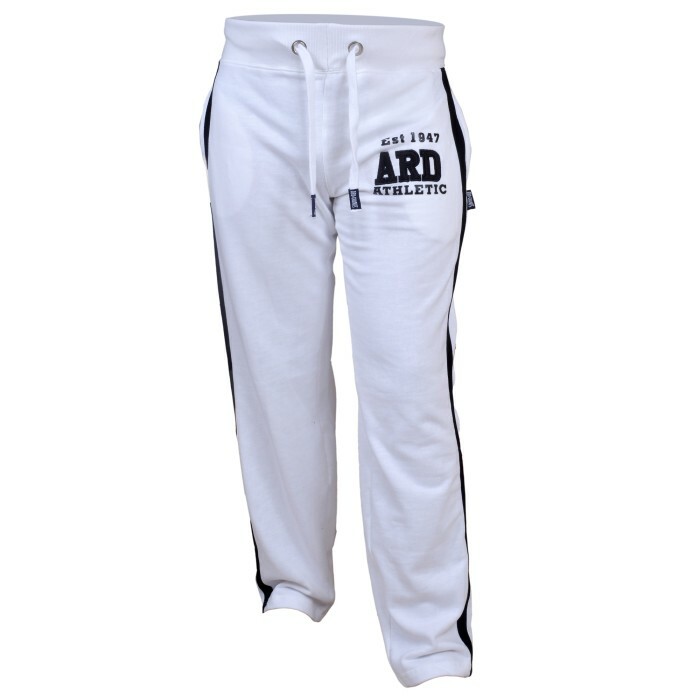 Features a distressed appliquéd Logo on thigh. 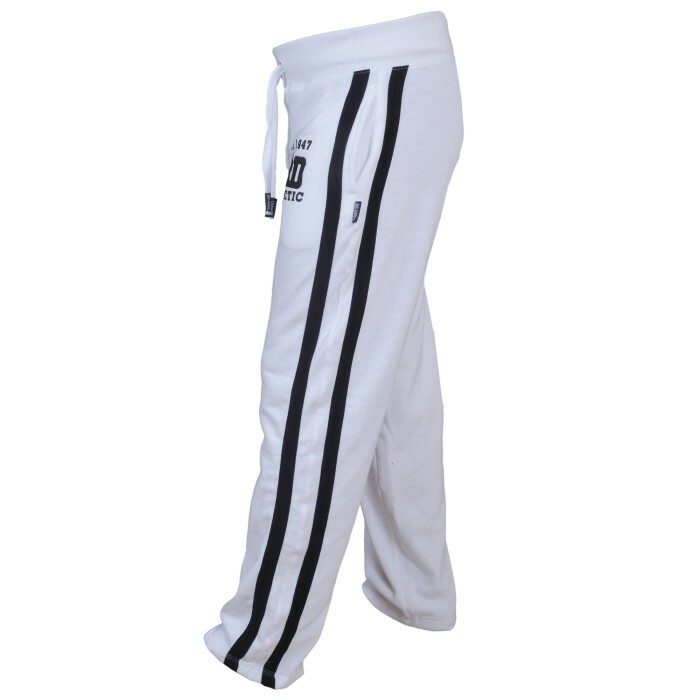 Cotton joggers with retro vertical leg stripes. Chunky drawstring in elasticated waist belt. Perfect for those lazy weekend days.